We’ve all heard the jokes about putting furniture together. Piecing together a table or a dresser or a bed can be one of the most arduous and lengthy experiences of one’s life, especially if the instructions aren’t in one’s first language…or anyone’s first language. Thankfully, I found the instructions to be easy to follow from beginning to end, and every difficulty I had along the Desk Building Journey was because of my own inability to combine a screw with a piece of wood. Respawn can’t save me from myself. 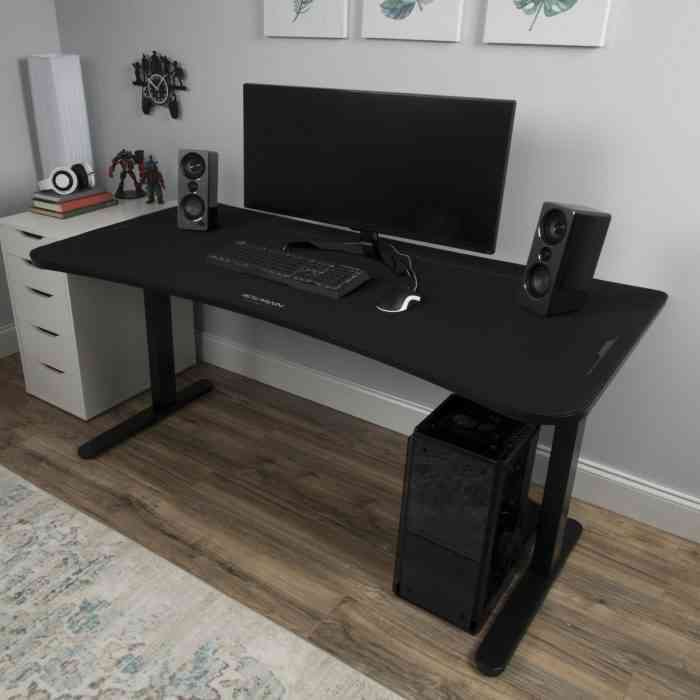 Look, good cord management feels like a must for a good gaming desk…and yet there are plenty of barren, desolate desks out there offering nothing but a flat surface with their purchase. Thankfully, the 1048 is not one of those desks. It has two holes for cords to go through, and the pad that goes over the desk not only allows for the holes but also covers them up. Don’t you worry: no one will ever see your unsightly cords, of your immodest Victorian ankles, again.